Virtually all heating systems incorporate a circulator which is a specific type of pump used to circulate water through the boilers and radiators. They are generally designed to overcome the friction of pipework within the system, they do not pressurise the system. Circulators are usually found only on closed systems whereas pumps are designed to pressurise systems and are more likely to be found within water boost sets and pressurisation units etc. Over the last few years, there has been a tremendous improvement in the industry with pumps and circulators, especially on the control aspect. 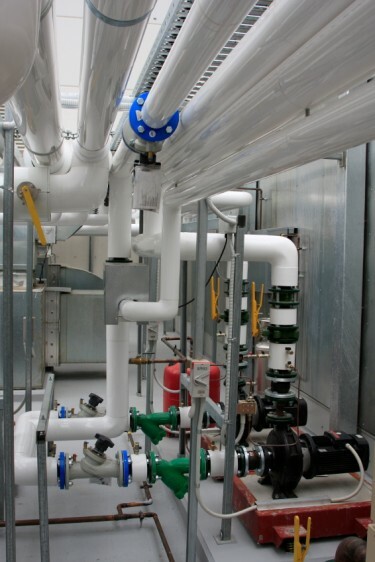 Many of the current pump manufacturers today use invertors coupled with pressure differential sensors, which allows the pumps to monitor the flow rates and adjust themselves accordingly to meet the system’s requirements. This not only saves fuel costs but it also helps to reduce hydraulic noise and excessive wear on the system caused by unnecessary high velocity flow. There are various types, ranging from the domestic, can-type motor assembly to the more commercial direct mounted motor centrifugal type pumps, which are generally flange mounted. We stock a good range of well known brands.